Upgrading ERP Software? Watch Compatibility! Windows 8 is now well into the market. 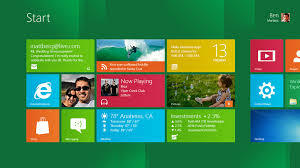 Tablets, laptops, and desktops have been shipping for a few months with Windows 8 installed. Many of these have 64 bit versions of the operating system. Don’t get me wrong, this isn’t a bad thing. New technology with new features represents progress, and with the investment Microsoft is putting into designing easy to use and more productive user interfaces, we should see some performance improvement. In Windows 8, the home screen has become more like a dashboard, and allows combinations of data and programs in a way that should (eventually) produce some increase in efficiency. We’ll have to wait until the current suite of software for Windows is rewritten in Metro style (the new name for a new Windows layout). The point of this post isn’t to praise or complain about Windows 8. It’s to remind those who have ERP software that you need to be thinking about compatibility. This is a recurring theme on this blog. Software like MAS 500 (written in Visual Basic 6) or Sage Pro ERP (written in Visual Foxpro) will eventually (within the next few years) not run on the current version of Windows. Some companies are still trotting out the old version of Windows XP for compatibility, but even this will become a problem eventually. Some software that is on the market currently requires either Windows 7 or Windows 8 to run. Most of our clients still have at least one or two machines with XP. Some clients have many more XP machines; these are often to maintain compatibility with legacy software. If you haven’t already, take time in the next few months to find out what software you have that won’t be compatible with Windows 8 (or Windows 7 if you’re still on XP). Determine what your costs will be to upgrade, or if you can replace the software with something else that’s either free or inexpensive. Contact DGG if we can be of help.